Like many of you out there, we love to hate big airlines and their sneaky approach to fishing out a couple hundred or even thousand RMB from your pocket whenever possible. 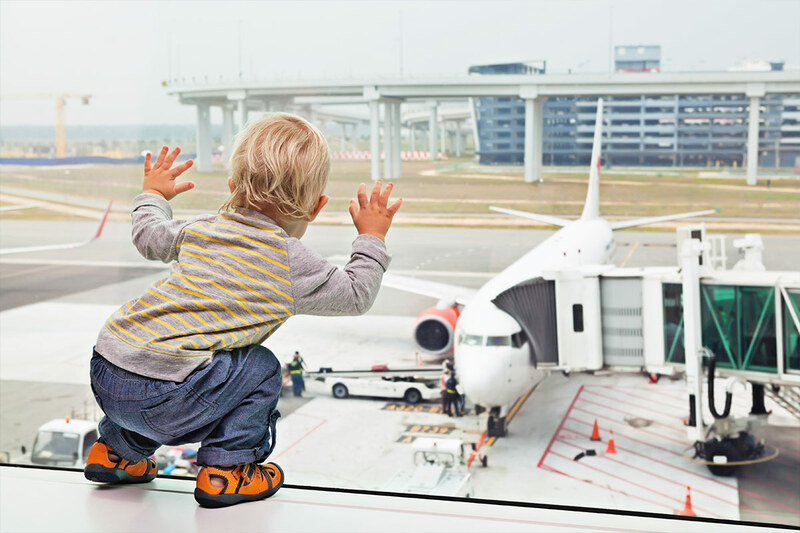 These corporations are notorious for hidden charges or mysterious taxes, and when it comes to flying with your baby or toddler, there are a couple more fees that you need to worry about. It wasn’t always this way, and you could generally go aboard without paying anything for your baby. But now, depending on your airline, you could be charged upwards of 10 percent of the total price of the ticket to sit the baby on your lap, even on a domestic flight. In some cases, depending on how much you spent on your ticket, especially for international travel, this could make the price of the infant who will be sitting on your lap, the same price as the discounted ticket you paid for. We know what you’re thinking. Let’s just face it: air travel isn’t as glamorous as it once was. Those days of wearing bow ties and suspenders for a trans-Pacific flight are long gone. So, here are some things you need to know about pricing and seat options before traveling with your child or infant around China and abroad. We are aware this isn’t an ideal place to seat your baby, but it is currently the most common and affordable. Chinese airlines like China Southern, Hainan, and Air China all charge a standard 10 percent for infants sitting on a lap seat. 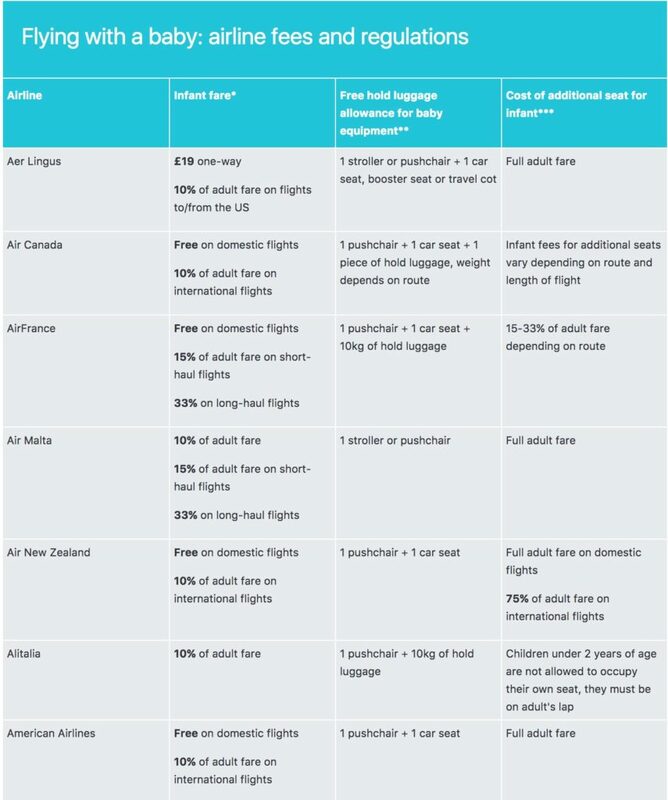 In America, many airlines continue to keep this as a free option for domestic flights, but it can also cost an extra 10 percent for international travel. This option can only be used until your child is two years of age, so we recommend getting a lot of cheap travel in before this, even though you and your infant should expect a fair amount of discomfort and crying throughout the flight’s duration. These baby carrying baskets can be found only on international flights, and are located at the front of a seating section. They can hold an infant of up to 9 months old for the same 10 percent charge you would spend for the kid to sit on your lap. What’s the catch? 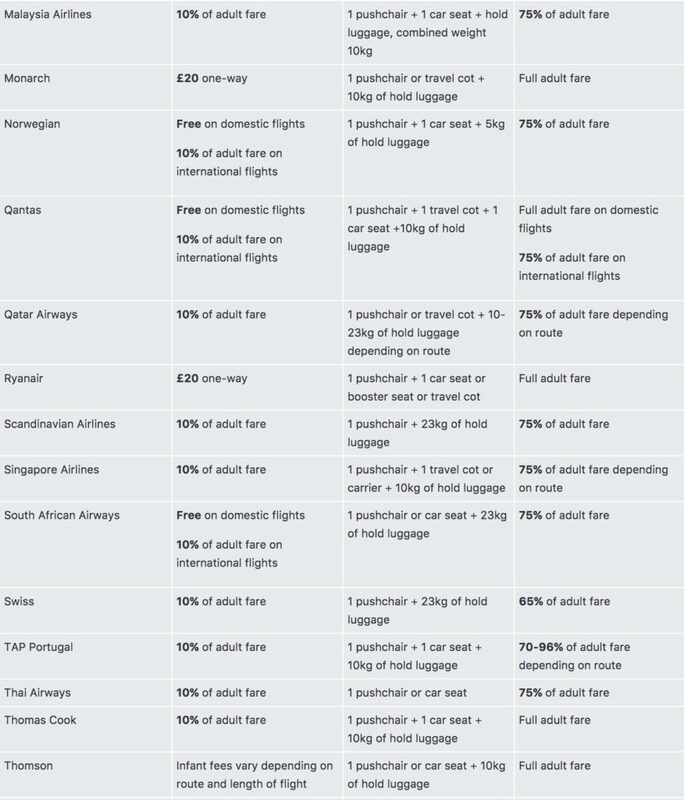 You’ll need to book your flight pretty far in advance to get one of these coveted seats, and not all airlines have this option. If your flight is over four hours, then it is totally worth checking out if it is available. Your baby and the other passengers in your immediate vicinity will thank you, as it provides the child with a safe and comfortable space to dream when flying the friendly skies. This is the most expensive option but essential if you have a little one who has discovered the thrill of wiggling, climbing, kicking, and squirming around. However, it will also end up costing you 75 percent of a standard ticket price. On the one hand, your kid is taking up the cabin space of a full-grown human being, but on the other, this little person is hardly 75 percent the size of an adult. We guess it’s a reasonable request from the airlines, but it’s still much cheaper to go with the lap seat. 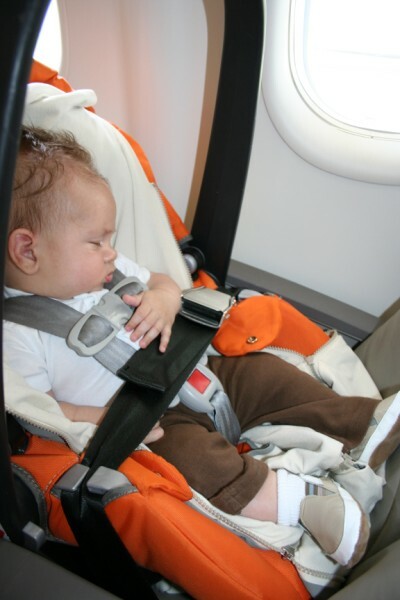 You can also bring a car seat aboard and fasten it to the seat, which will add an extra amount of safety and comfort to your child’s flying experience. Make sure you declare your infant when buying a ticket online or through a travel agent, and don’t just show up to the airport expecting a free ride for the little pipsqueak. 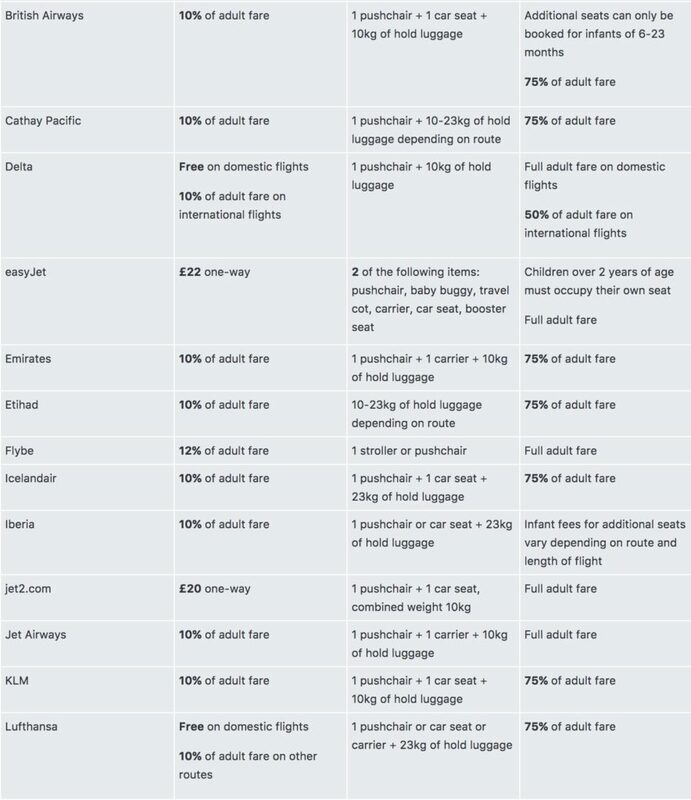 Also, here is a list from Skyscanner featuring a handful of airlines and their pricing policies when it comes to traveling with babies. Hope this helps, and if we are missing anything don’t hesitate to leave a comment below.